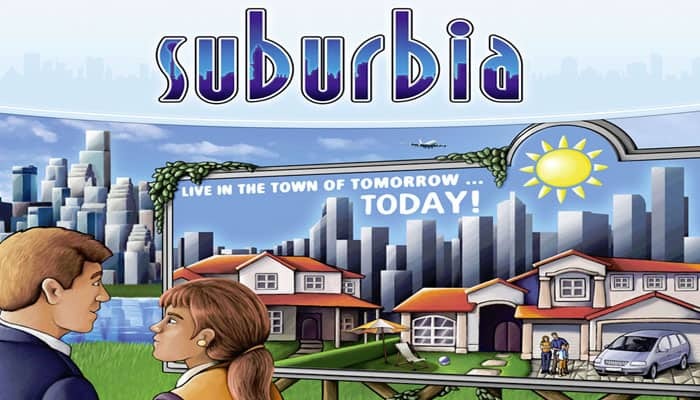 Suburbia is a tile-building game of economic management and city development where players plan out, build and develop a small town to become a metropolis. 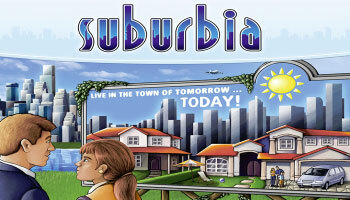 The goal is to have the most people in your suburb when the game ends, but this is a delicate balancing act. Grow too fast and your income will be reduced too much, so, you end with dwindling funds. Grow to slowly and you will not be able to win. 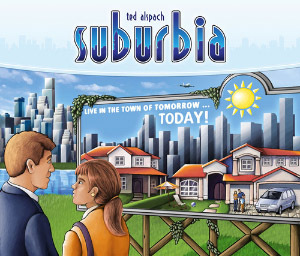 To encourage population growth and become profitable, you can add residential, civic, commercial, and industrial areas to your town. Profit is important because then you can purchase better and more valuable buildings like internatal airports or high rise office buildings. The winner is the player who has the most population when the game ends. Shue 3 stacks of face down tiles, each stack with a letter on the back (A, B, and C). Each stack has the same number of tiles: 15 for 2 players, 18 for 3 players, and 21 for 4 players. Residential , Industrial , Commercial and Civic . Most tiles give bonuses or penalties to Income , Reputation or Population , while others give you special abilities. All the challenge of the multiplayer game in less than 30 minutes! 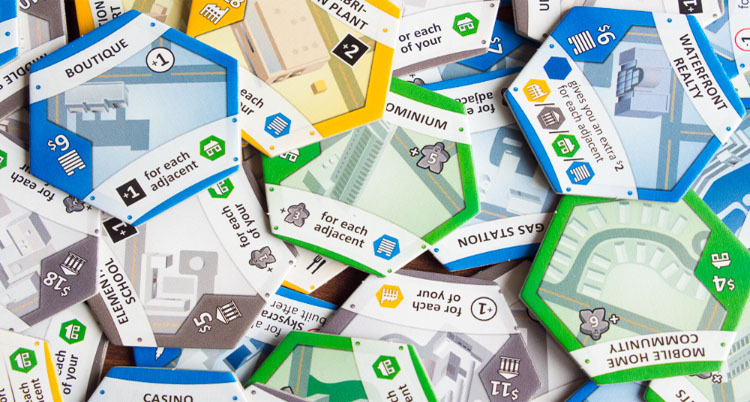 Gameplay is just like the 2 player game, but you'll only need one Borough Board. Use the 2-player tile stacks setup, but don't place or distribute any goals. Moving past a Red Line results in and . After your turn is over, you must remove an additional tile, using the same rules as if you had placed an Investment Marker or a basic tile.